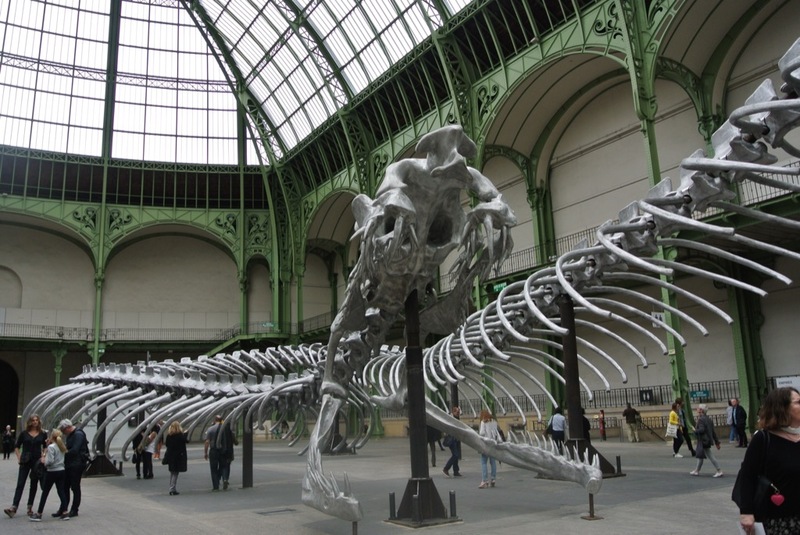 Everything is out of norm at the Grand Palais for this new edition of MONUMENTA devoted to Chinese artist Huang Yong Ping who lives in the Paris suburbs of Ivry sur Seine. « Empires », as the show is called, is a political work of art on globalisation , taking Napoléon’s battle of Eylau as a starting point. 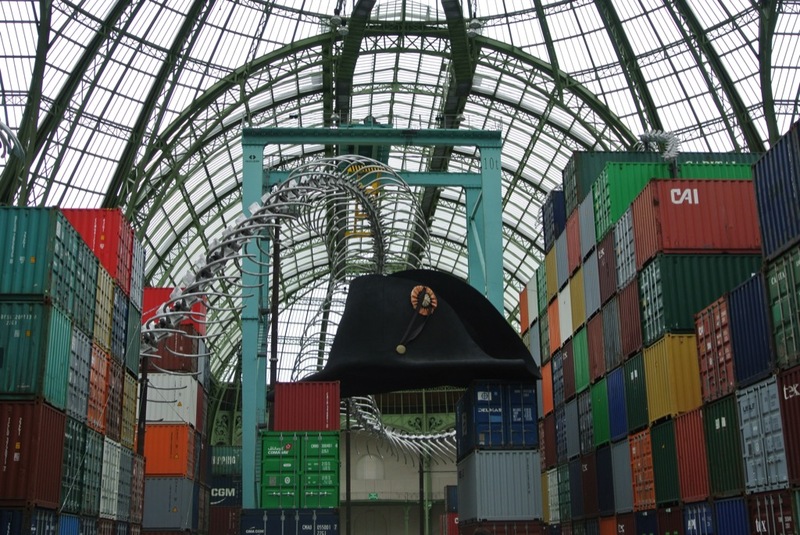 The Emperor’s famous hat stands on top of the containers and weighs 4 tons. It is made of wood, metal and tapestry. This show is the final point of 10 years of conception, for the first drawing was made in 2006. Until June 18 th, there are two exhibitions of the artists’s work at Kamel Mennour gallery. The presence of 305 containers used to ship merchandise from one continent to the other, represents wealth and globalization. Napoléon’s (crazy) Empire is replaced today by the Empire of money and trade all around the world. The artist, who came to Paris for the first time on Jean Hubert Martin’s invitation in 1989, for “Magiciens de la Terre”, did not go back to China for eleven years, after the Tiananmen events. 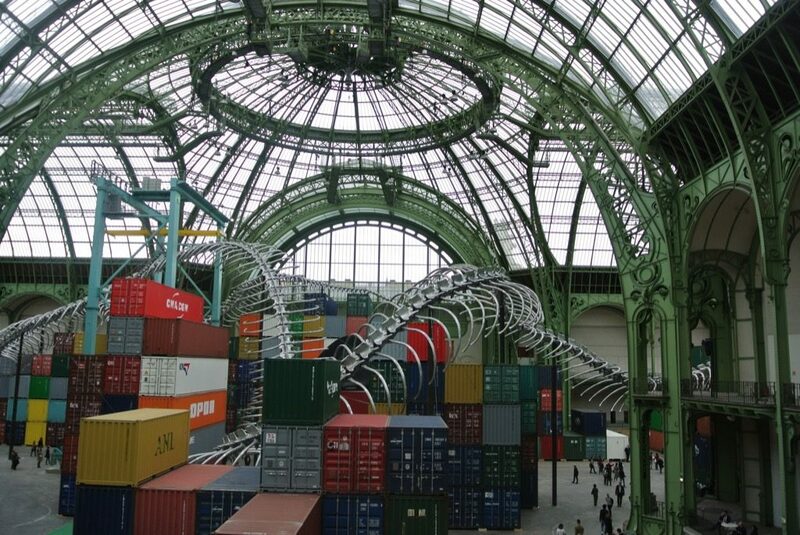 After acquiring his French citizenship, he represented France at the Venice Biennale in 1999. 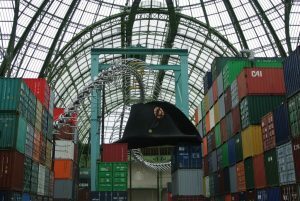 He is now shown aound the world from Vancouver to Mass Moca in Massachusetts, the Barbican Center and Vassivière in central France. He is also often exhibited in China. Everything is united to make this show a success. 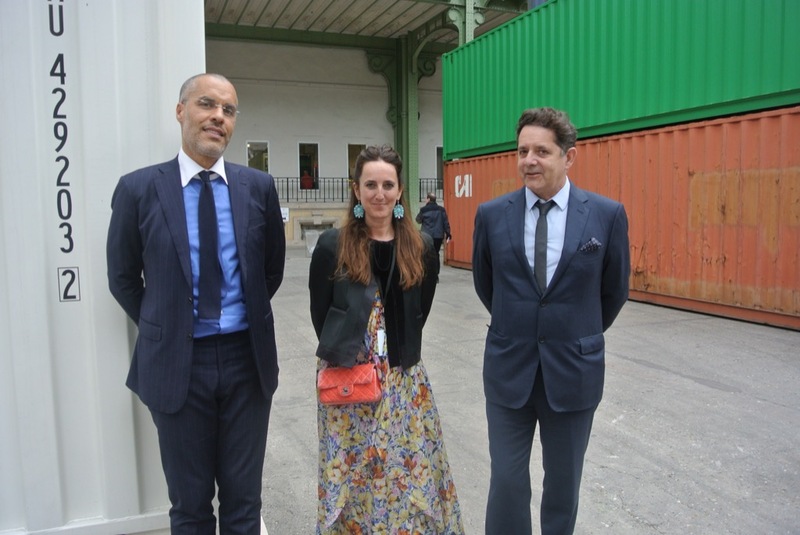 The curator, Jean de Loisy, President of Palais de Tokyo and Kamel Mennour, his gallerist, are both the hippest contemporary art actors in France. Marie Sophie Eiché-Demester is in charge of the artist at the gallery. I must say I did not like the show which is too political and not “pretty” enough for my taste, but so many people were fascinated at the opening, that I had to tell you about it.